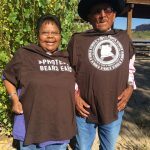 The Utah Tribal Leaders association (UTL) voted on and passed a formal joint resolution of support in favor of Bears Ears National Monument yesterday. 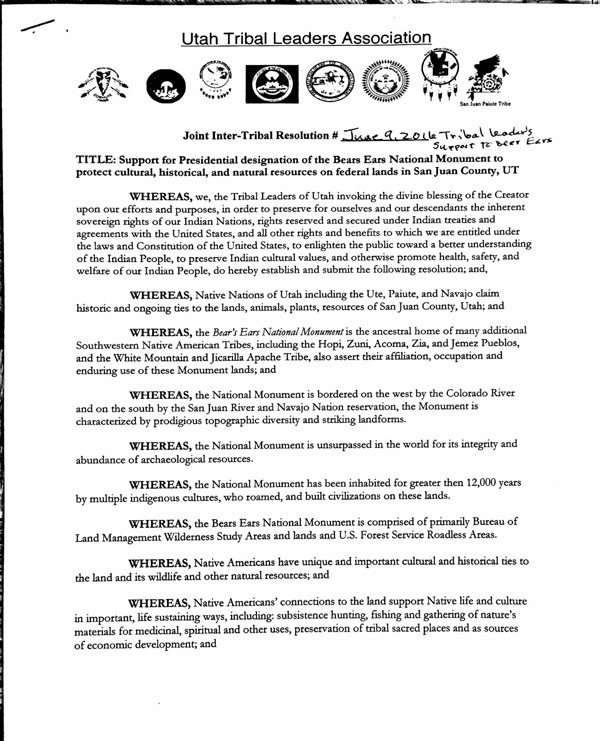 The Chairman from seven of Utah’s eight Tribes discussed and voted on the resolution during UTL’s monthly meeting, which was held in Cedar City, UT, on Thursday, June 9th. Each Chairman had already taken this Bears Ears resolution to their respective councils for a vote. The resolution passed easily by a 6-to-1 margin. The Ute Tribe of the Uinta Ouray Reservation was not present, but supports the issue as a formal member of the Bears Ears Inter-Tribal Coalition. Click here for a full copy of the resolution!